Disney Springs is an adventure all in itself. 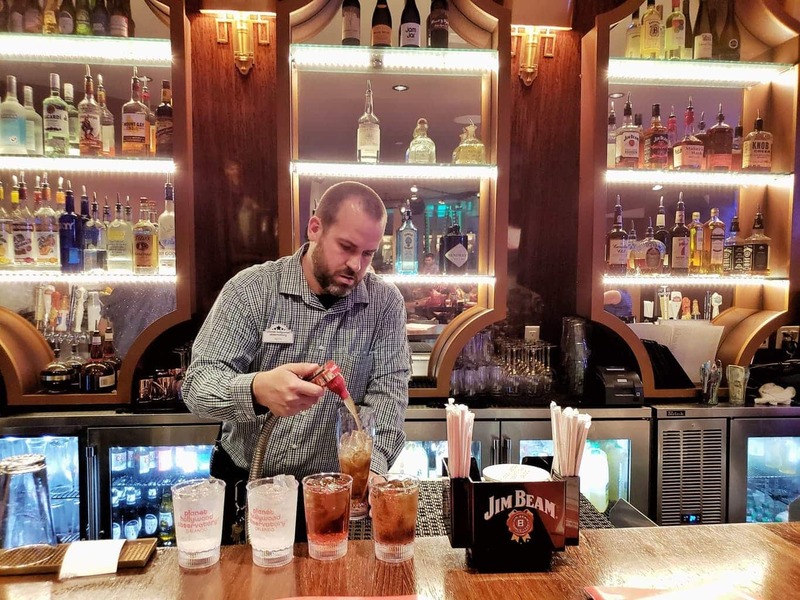 While many people tend to visit Florida and head straight to the Disney Parks, there are so many amazing reasons to check out Disney Springs as well. One of the biggest reasons? All the amazing food options! Disney Springs is home to the Planet Hollywood restaurant, where the food options never seem to end! 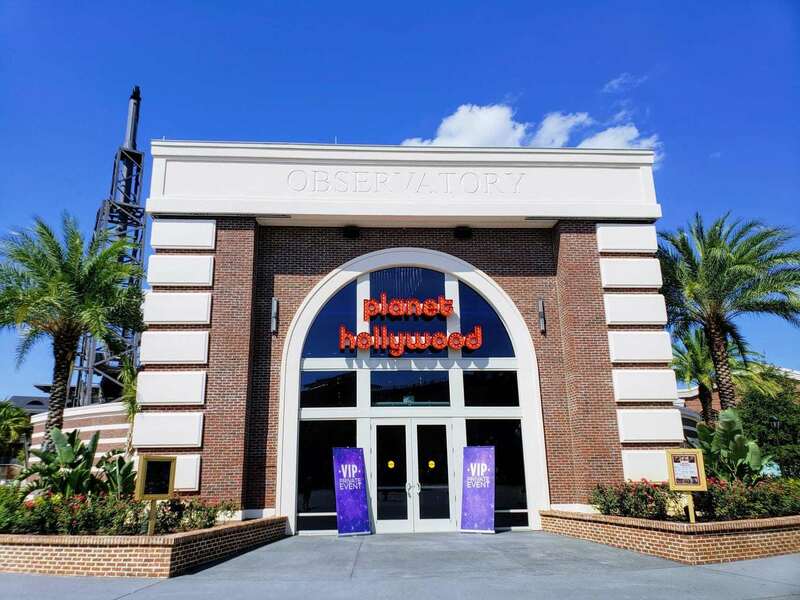 If you and your family are looking for the perfect place to relax and dine after exploring everything that Disney Springs has to offer, eating at Planet Hollywood in Disney Springs is the perfect way to do so! My family and I were provided a complimentary meal in exchange for this review. 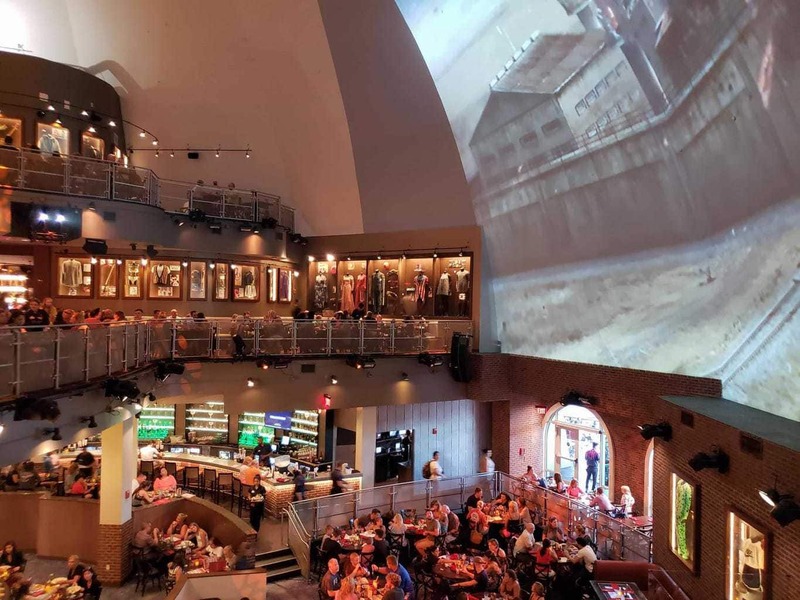 Even if you are dining at Planet Hollywood for their delicious food, you will be amazed at the large movie screen when you walk in. If you are not seating near the big screen, other tables around the restaurant do offer smaller televisions for your viewing. They were always playing something different and it kept the younger kids entertained while we waited for our entrees. Your eyes will be glued to this screen watching music videos, popular songs from the 90’s to more recent, short film clips, and if you listen closely you may even hear some familiar Disney songs. Insider Tip: Let your server know if you are celebrating a special occasion like a birthday, graduation, honeymoon, or anniversary. Truth be told, the decor of Planet Hollywood is almost as good as the food and drinks. When glancing at the menu, there isn’t a bad thing to order. The chef at Planet Hollywood really does a great job at cooking each and every item to perfection. Whether it be a burger, chicken or some sort of appetizer, your taste buds will be pleased with each and every bite. If you are in the mood for a burger, you can’t go wrong with Guy’s award-winning Bacon Mac-N-Cheese Burger. This delicious burger was winner of NYC Wine & Food Festival Burger Bash. 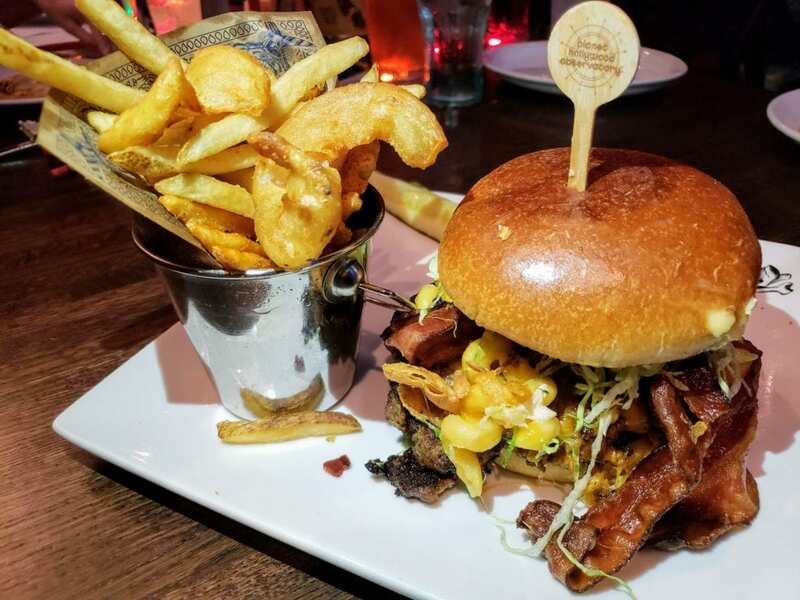 This burger includes applewood-smoked bacon, six-cheese mac and cheese, all-natural ground beef, crispy onion straws, on a toasted brioche topped with donkey sauce. If you are looking for a more lighter option like a salad, you could have the Caesar salad. 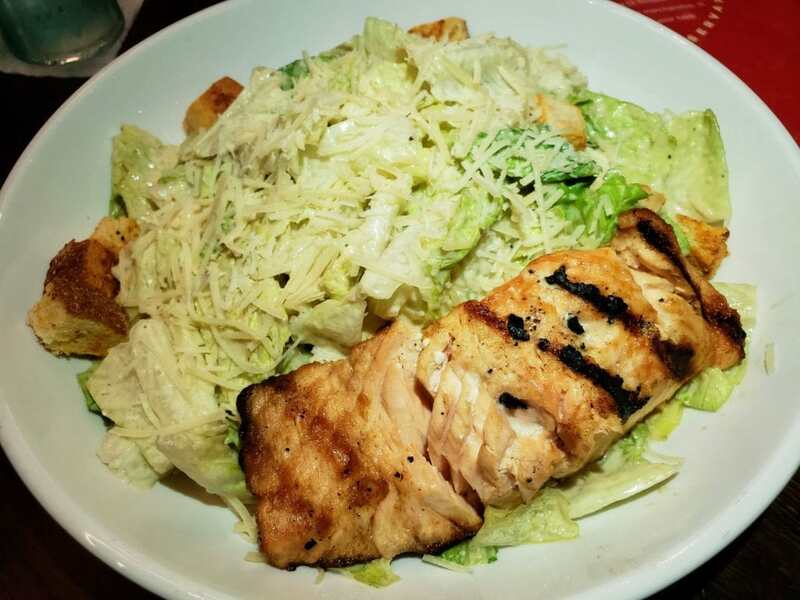 You have a choice of salmon, chicken, or shrimp served with crisp romaine lettuce, croutons and shaved Parmesan, tossed with Caesar dressing. 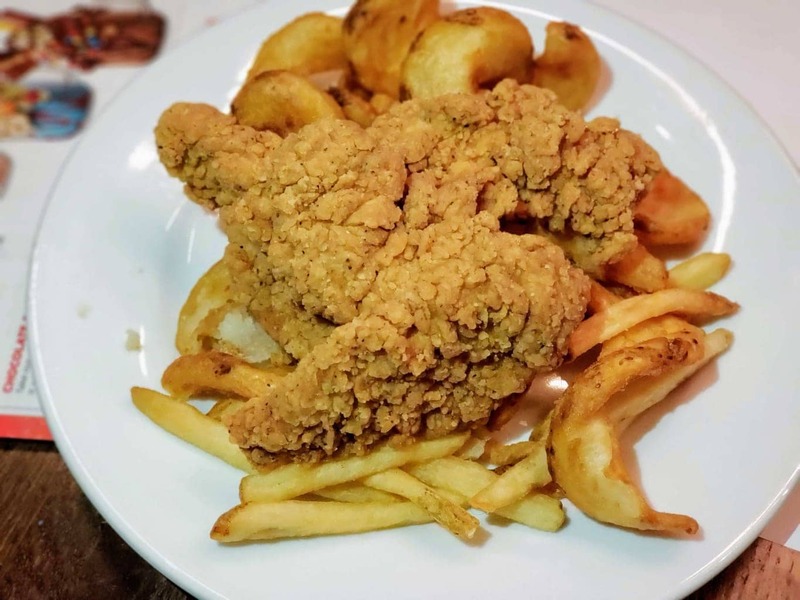 Kids portions are very generous too – like these Chicken tenders and fries! No need to rush and choose what time of day you want to eat at Planet Hollywood in Disney Springs. They are open for both lunch and dinner! Check out their menu’s before you go because their lunch menu is different than the offerings of their dinner menu. Both menu options have a ton of options for appetizers, main dishes, desserts and beverages. Keep in mind that Planet Hollywood is extremely popular. Due to the great food and the fun atmosphere, many families feel that it’s the perfect place to eat and relax during their Disney trip. It’s always a good idea to try to plan ahead and beat the lunch and dinner rush if possible. Simple steps to accomplish that would be to eat a bit earlier or later than the typical lunch or dinner times and try to stagger the crowd a bit. Reservations are highly recommended and you can do this easily with Open Table. Otherwise, you may have a bit of a wait depending on the day and time. While a wait isn’t always ideal, it’s worth it when eating at Planet Hollywood! Just like the majority of other restaurants out there, Planet Hollywood serves dessert, but not just any dessert. Who knows what wild and crazy concoction will be for dessert when you’re there? 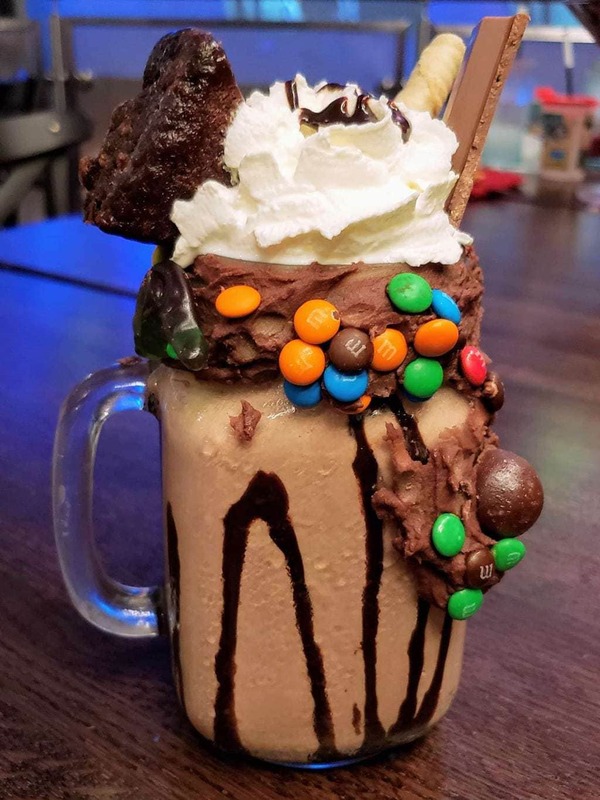 It could be cake, a shake, or a shake cake combo…You’ll have to order to find out. 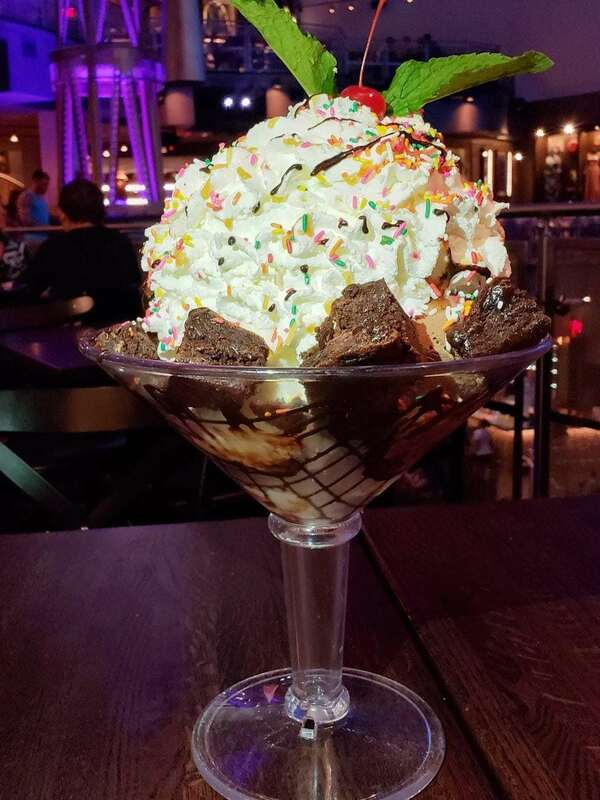 Trust in the fact that Planet Hollywood knows how to make your dessert truly magical! If you are a lucky one staying in Disney and booked a Magic Your Way Vacation Package which includes a Disney Vacation Dining plan, then I have great news! 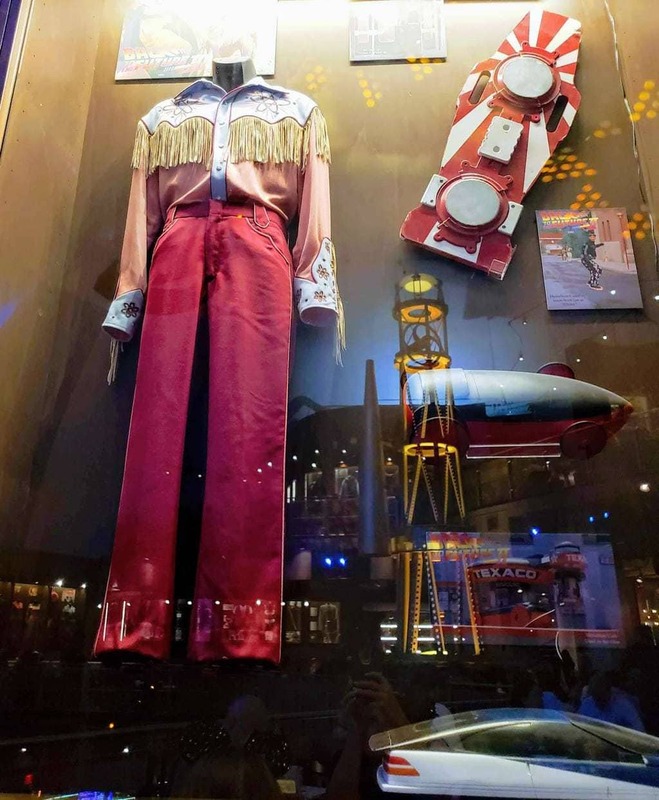 Planet Hollywood in Disney Springs is included as one of the Disney Table Service Dining options. This restaurant is equal to one table service credit per person. Reservations are required with Disney and requires a credit card to reserve. You can contact Disney at (407) WDW-DINE or book through My Disney Experience. Be sure to read about the 2018 Disney Dining Plan changes. When shopping and having fun at Disney Springs, treat you and your family to lunch or dinner at Planet Hollywood. The food is delicious, the pricing is great and the ambiance is top-notch as well. With everything delicious and amazing on the menu, why not order a few items and share with everyone in the family? Portion sizes are very generous. 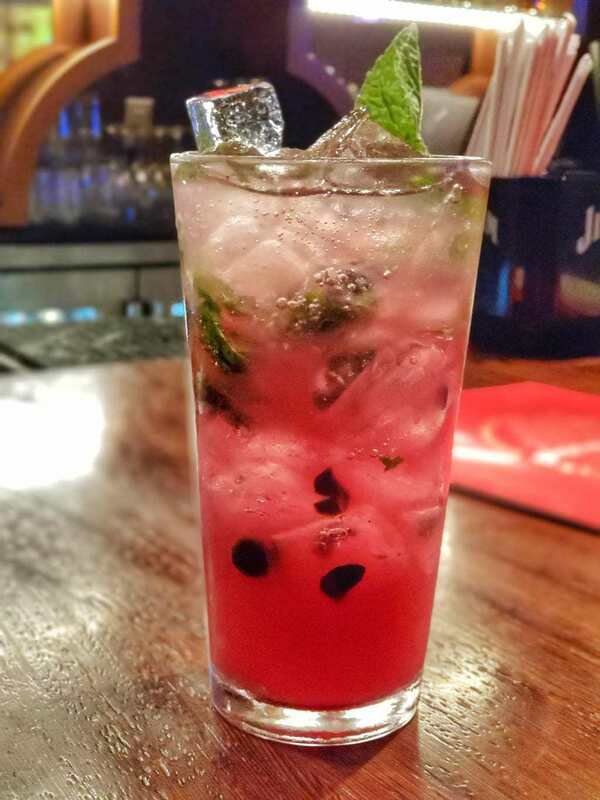 It’s so much fun to taste-test your way through the Planet Hollywood menu!